Kl.am is the URL shortening site created by Raven, the SEO and social media campaign tracking application portion of Sitening. 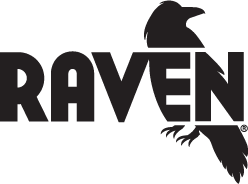 But, unlike Nashville’s premier short url site URLzen, the Raven team has provided several bells and whistles that give Kl.am its own unique edge. 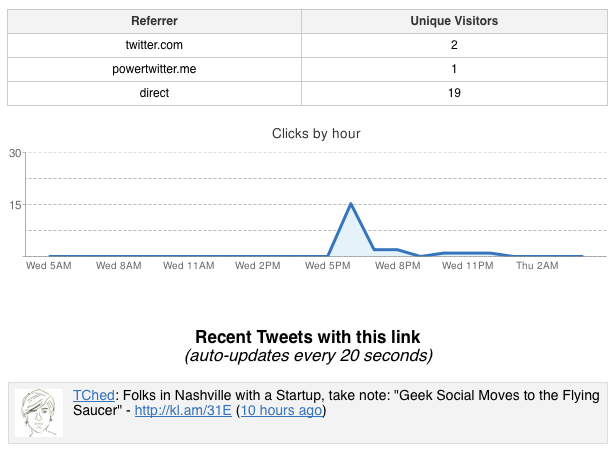 Kl.am offers users the ability to not only customize their short urls, but track them at the same time. Yet, the most notable difference between kl.am and other sites like it is the information gathered from an individual’s user account. The site will archive and track each link you Kompress, and then goes a step further by allowing users to sort their short urls by either keyword or domain name — thus giving people the ability to run mini campaigns for what they send out over the day. This entry was posted on Thursday, April 23rd, 2009 at 3:13 am and is filed under Programming, Technology. You can follow any responses to this entry through the RSS 2.0 feed. You can leave a response, or trackback from your own site.